If you're thinking of dumping rubbish, think again. It'll cost you more than a trip to the tip. 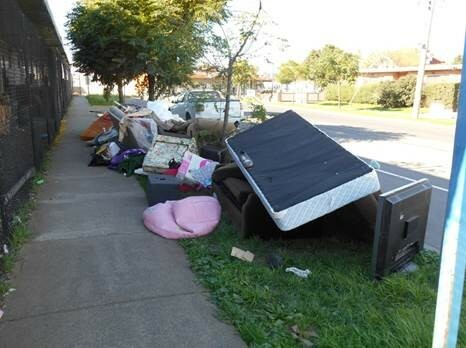 Brimbank City Council has successfully prosecuted an individual who dumped a truckload of waste in Sun Crescent, Sunshine in May 2014.
ordered to pay $1300 in clean-up costs. This prosecution shows how Council’s efforts to stem illegal rubbish dumping and littering is paying off. “Dumpers need to know that they cannot dump their rubbish in Sunshine or any part of Brimbank and get away with it" Chair of Brimbank Administrators, John Watson said. Dumped Rubbish Costs Us How Much...? That's how much it costs Council -- and subsequently every resident -- to collect and dispose of illegally dumped rubbish. This money could be better spent on community services. Council has increased surveillance and appointed a dedicated litter enforcement officer to undertake dumped rubbish investigations and prosecutions. Council has a Detox Your Home drop-off facility at Stadium Drive, Keilor Park for the safe and lawful disposal of most types of waste at no charge. 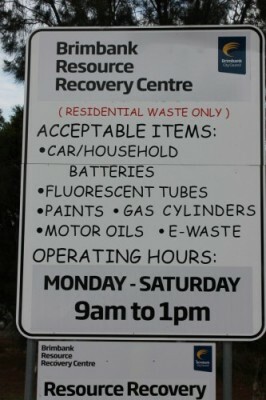 Check our Landfill Recovery Centres page for what you can and can't take to our facility. Council undertakes community education, has a Rapid Response unit to pick up dumped rubbish, undertakes local clean ups, and enforces the general local law in relation to dumping and littering.